Lying · West coast of Scotland. This is a rather nice example of the Westerly Storm 33, given the excellent reputation these boats have. The owners have obviously taken good care of her. She appears to have been well maintained and is clean and tidy trough out. Benefiting from recently acquired main and fore sails , and a good choice of sails, and the main sail cover , spray hood and dodgers all look to be in good condition. Lots of storage as can be seen, in the cockpit lockers and below. A new cockpit sole is being made, which should be ready shortly. 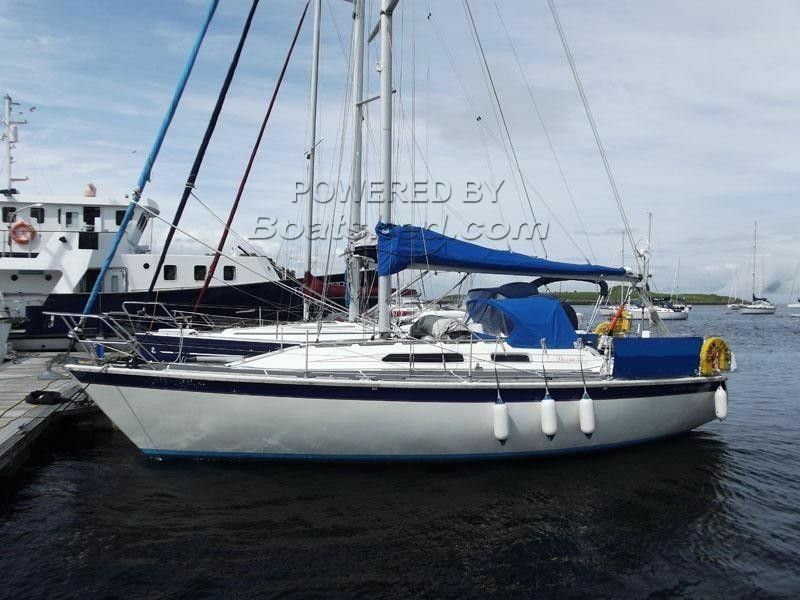 If you are considering buying a boat of this pedigree then this Westerly Storm 33 should be viewed. This Westerly Storm 33 has been personally photographed and viewed by Ian Sawkins of Boatshed Scotland. Click here for contact details.